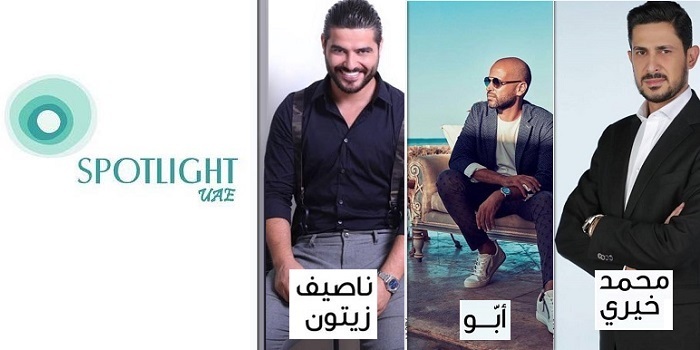 Stay tuned for upcoming events for Nassif Zeytoun, Abu and Mouhamad Khairy Live Concert in near future. February is a different in Abu Dhabi this year with our 3 stars. Join the open air gala concert & book your ticket only with Spotlight. Nassif Zeytoun, Mouhamad Khairy and Abu أبو at Fairmont Bab Al Bahr. Spotlight RS (Recreational Services) is one of the leading Event's and Celebrity booking Agency in the region. We operate in MENA region and we manage a group of more then 45, A & B class celebrities. Terms & Conditions : Age 21+ Only. All rights are reserved by organizer. Best Viewed at 1024 x 768 pixels and above. This Page loaded in 0.11992 seconds on Fri, Apr 19, 2019 (06:33).